Want to see the sights? Planning a business trip? Or perhaps you're looking for that perfect romantic getaway. For your next escape, get the hotel you want at a price that’ll put a smile on your face. From city centre conference hotels to charming hideaways, we have you covered. 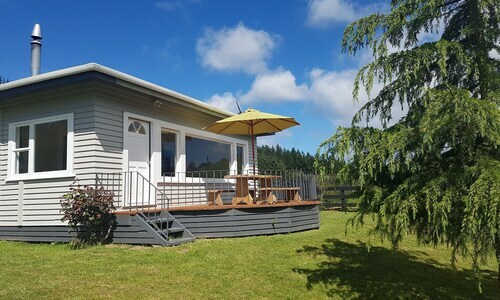 Book accommodation in Whakamaru with us today and get ready to sleep in, eat out and enjoy a holiday your way. Not sure what you're looking for? Let us help! When you search Whakamaru accommodation, you can filter by budget, star rating or even specific facilities. Hit the clubs, browse the shops or make friends with the locals—there are a number of hotels just a stone's throw from the action. Or do less running around and more indulging when you book a relaxing and revitalising retreat. Maybe a spa treatment is in your future! In the mood for food? Many of our listed hotels feature great bars, cafes and restaurants for laid-back brunching and suppertime feasting. Some also offer a gym or nearby outdoor activities to help burn off those extra calories. Save time and money by using Wotif to book cheap Whakamaru accommodation. With millions of rooms available, you’ll find exactly the right place to put your feet up. From bargain motels to rooms fit for blue-blooded luxury, child-friendly to pet-friendly (and definitely wallet-friendly), we make booking a hotel reservation simple. How Much is a Hotel Room in Whakamaru? 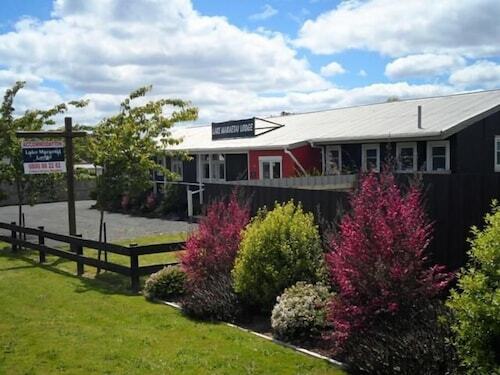 Hotels in Whakamaru start at NZ$93 per night. Prices and availability subject to change. Additional terms may apply. Clean. Fresh. Comfortable. Beautiful breakfast. Quiet spot. We were extremely disappointed to be confronted with a run down house which was badly in need of maintenance and nothing like the photos on the website. Tired after driving thirteen hours we viewed the room and facilities, Room was tiny and bed/bedding very worn, barely room to get around the bed, door was locked with a dead lock and on the outer of the door was a patch of black board paint with our surname written in chalk. The “shared bathroom facilities” was one small ancient bathroom to be shared by all. The old bath tub had a couple of rolls of toilet paper balanced on the edge. We are not fussy and have happily stayed in very average accomodation and basic campground cabins. This property is definitely sub standard. We were not comfortable about staying there at all. We asked for our money to be refunded based on all being sub standard and the advertising misleading. They refused. Agency managing property are useless, did not answer phone numbers left on confirmation of booking, no codes sent to gain access to the premises, where luck owners live next door and they were very friendly and helpful in letting us in. Had my credit card debt the wrong amount, even when selecting to pay at the property on the wotif website. Tried contacting wotif , still waiting for a reply.